Black lives matter. 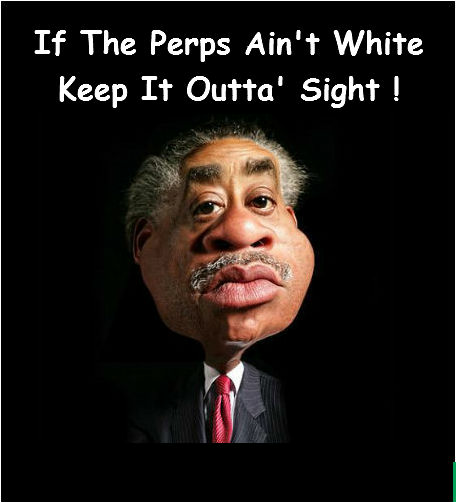 Expecting Sharpton, Jackson and gang to arrive anytime. More African Americans from France? Were they were killed by white police...dressed as black drug dealers? A fridge received a bullet. Not much info in the article. It was a bloody afternoon as machetes, axes and cutlasses swung from every corner leaving pieces of flesh and puddles of blood on the streets of Omonia in Athens Greece. The Sudanese and Somalians shocked the greek community to their very bones as they killed each other with reckless crudity. It was a scene that could have easily beffited the 3rd Century when barbarism was at its peak. The Somalians and Sudanese in Greece are notorious for their drug dealings and Omonia is where they base. Both communities have shared the territory peacefully and dealt their custom mutually until last week. Trouble began when more and more drug addicts began to take their customs to the Somalian side of the dangerous Omonia area to the probable envy of the Sudanese dealers. As the trend continued, the Sudanese asked the Somalians to leave Omonia. Their odacious demand must have offended the Somalis so much that they returned the request with action. That Afternoon, as business went on, the Somalians appeared in the Sudanese occupied area of Omonia in a cohort, armed with machetes, axes, clubs and cutlasses. Their Sudanese counterparts soon armed themselves in defence and the bloody and barbaric altercation ensued. They cut, axed and chopped themselves to shreds. This is a tragedy. I would be really upset if someone shot and killed my refrigerator. Especially if they hit the beer in it. rite AWN....RIte AWN.... RIte Awn! Is that "odacious" as in The Odacity Of Hope? 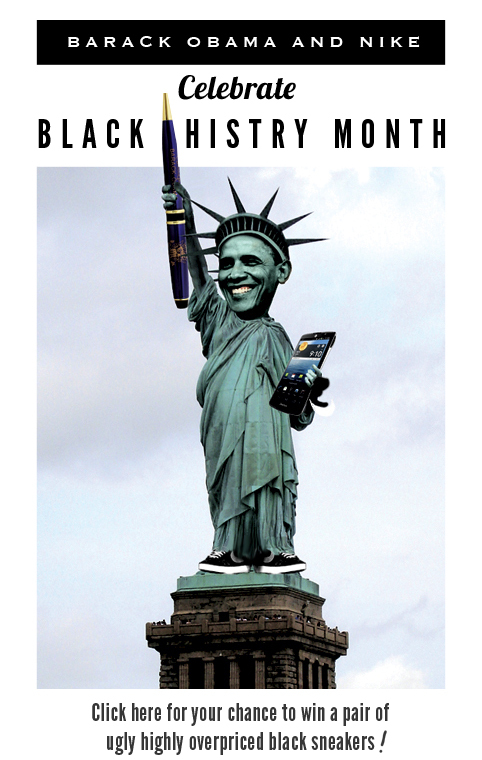 Oh yeah.. Forgot that it's almost Black History month again. Well - I never did care much for February anyway. That's why I'm glad we have White History month in the summer. AL has allegedly been informed of this matter but has yet to determine if there’s any CASH to be had by gettin Involvified! Sounds like he writes for the news networks. I would put Dirty Harry on the case. Sounds like Magnum Force. Absolutely shocking! Shocking that a newspaper would actually identify them by race. Yeah, they need to report that something white got shot! 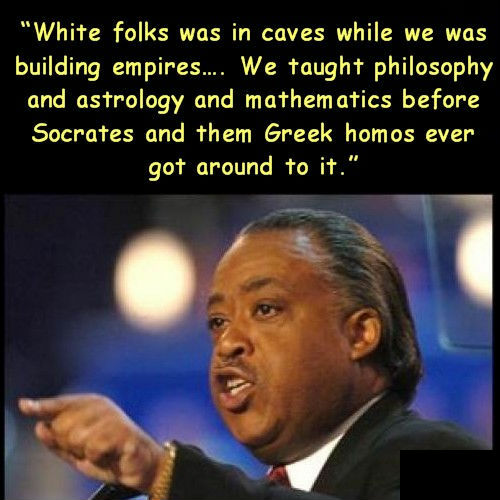 “Rev” Al needs to return to his “roots” in Africa and look at all those high-rise buildings and high-tech businesses that are flourishing. They’ve really got that building with mud down pat.